The PS&P uses leased six-axle units for the run from Centralia to the Port of Aberdeen. I see a lot of BNSF units mixed in with a few others. Saw a CSX unit the other day. Reg, I might be wrong but I thought all that BNSF/UP power was run-through (so to speak) and not leased. 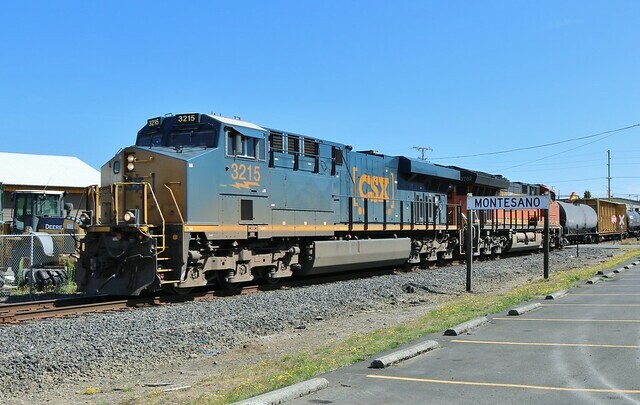 They have plenty of G&W-marked PS&P power of their own as well as some clearly leased former EMDs around. You may well be correct. I haven't had much railfan time lately, and no research time at all. I really miss my friend, John Henderson, who seemed to absorb this kind of information from ether. You were moments from my office. In Snoqualmie this weekend at the famous Snoqualmie Falls Lodge celebrating two birthdays (mine, 70, my wife's 60) and our 35th anniversary. 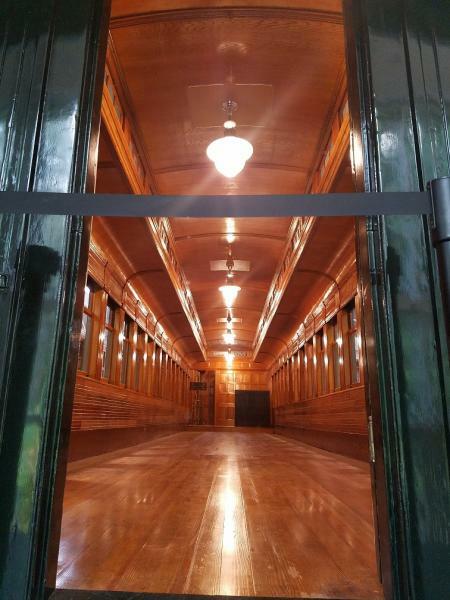 We will be visiting the Northwest Railroad Museum today. I was a regular volunteer as a teenager when it was a pretty much down at the heels operation. I haven't been back since, so really looking forward to seeing how far they have come. Happy Birthday to you Reg and your wife and Happy Anniversary as well. Hope you enjoy the Museum. Were you a volunteer when JohnH was volunteering. Somewhere I have a couple of photos he sent of Weyerhaeuser 2-6-6-2 #6 at work there. I think he was on part of the crew on that train. John and I didn't know each other then. He would have been at the University of Idaho or still living in Fairbanks. 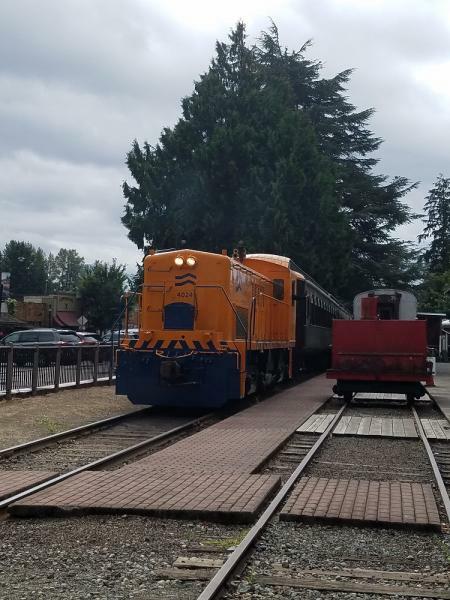 We had a good time at the Northwest Railway Museum in Snoqualmie, WA. It has come a long, long ways since I hung out here in the mid '60's. Here is the little Baldwin that hauled the 3-car train. 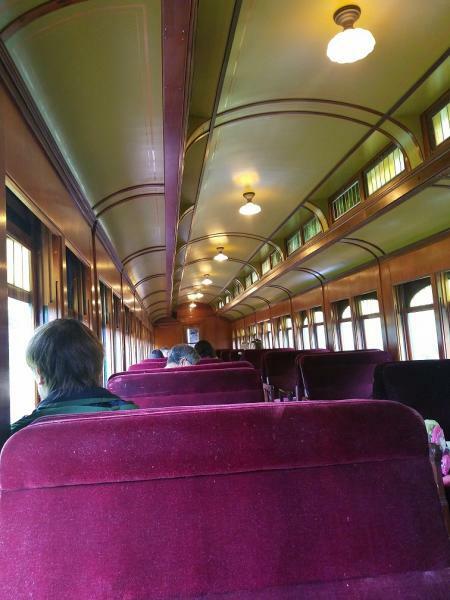 We rode in a 1912 SP&S coach. Beautifully restore. At the "shed" they have quite a collection of equipment in various stages of restoration, including the almost completed and absolutely gorgeous chapel car. The Little River 2-4-4-2 is parked along with a lot of other projects waiting their turn. At least the boiler is on the frame, the cab is intact, and the tender is behind it. It is not in an easy location to get a photo. I enjoyed the visit. It is a good place to wander if you are in the area. But if I could only do one railroad museum in Washington State, it would be Mt. Rainier Scenic. Since all of my previous efforts at scenery have been less than stunning, I am purchasing Woodland Scenics materials and blindly following their processes. This is a major change for me. I grew up in the era when everybody was building scenery from whatever they could find. The old plaster over screen with dyed sawdust "grass" school of thought. You do what you gotta do. It's not a contest (though some in the hobby act like it is). I've seen some pretty good results from colored sawdust. I'm just lazy in that if I can get a pre-fab something that looks good, it'll save me the time of making it myself, so why not? It's the benefit of a smaller layout; you can splurge on nicer stuff if it only has to cover a small area.